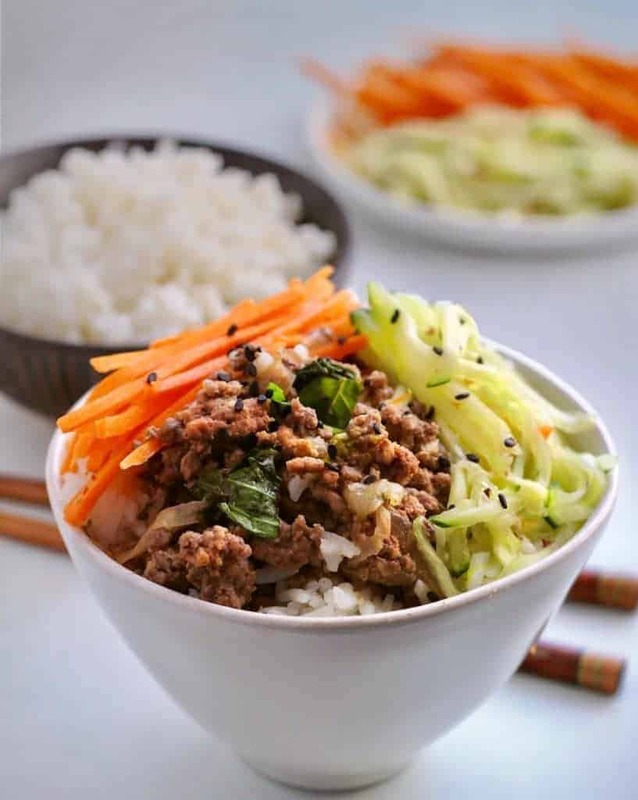 Cook a Spicy Basil Beef along with a pot of rice at the same time in your pressure cooker. 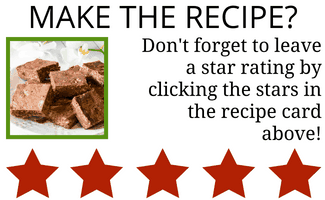 Make a quick-pickled salad while they cook, to serve a healthy, fast dinner. 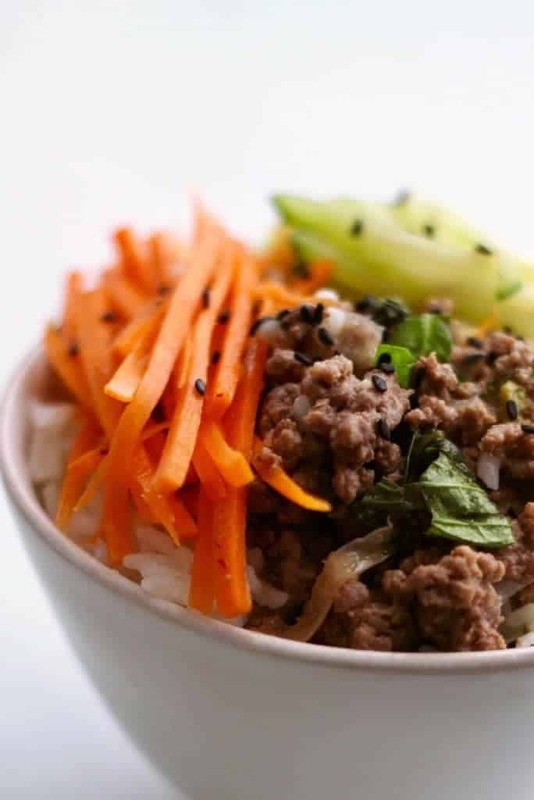 Although I made these Spicy Basil Beef Bowls in the Instant Pot, there’s no reason why you couldn’t do them in on the stove top. It’s basically a combination of ground beef, basil leaves that are used both cooked as well as fresh, and a handful of sauce ingredients. 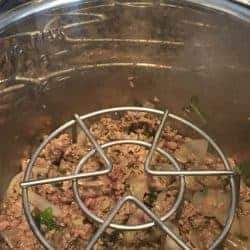 I’ve always wanted to learn how to make a flavorful basil beef recipe as a different way to eat ground beef, so I figured I’d try this way and see how it works. 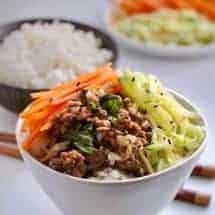 The advantage of making these in a pressure cooker was that I cooked the rice and the beef at the same time, and while it was cooking, I put together the quick-pickled vegetables so that they’d be ready when the meat and rice were ready. Of course if you’re trying to low carb, then don’t make the rice, and eat just the meat and vegetables. In this case, double up on the cucumber and omit the carrots. Okay I know this looks like a long list of ingredients, but there are very few steps, and it makes meat, rice, and vegetables for dinner. Just get everything together beforehand and it will move fast. 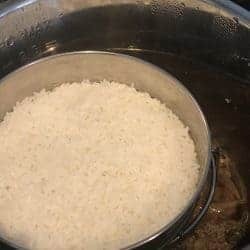 Rinse rice and place rice, water and salt into a heat safe pot that will fit inside your pressure cooker. Turn your Instant Pot to Sauté high, and when it is hot, add oil. When the oil is shimmering hot, add ginger, garlic and chilis and sauté 30 seconds. Add in ground beef and break up lumps. Don't worry about cooking it at this point. Just make sure it's not going to cook as one big lump of meat. Add 1/2 cup of chopped basil leaves (add more if you like basil, just leave enough to add some fresh leaves at the end). Add all the other beef ingredients and mix well. Place a steamer rack on top of the beef. On the rack, place the covered rice pot. (Sorry mine shows cooked rice, because I forgot to take a picture before hand). Cook on high pressure for 4 minutes and allow it to release pressure for 5 minutes. Release all remaining pressure. While the rice and beef are cooking, julienne the carrots and cucumbers, and mix with vinegar, sugar and salt. I added red pepper flakes to mine. Very tasty, thank you! I omitted the chilis as others have mentioned; also used zucchini instead of cucumber in the pickled veg, along with red and yellow bell peppers. A real keeper, thanks! This was delicious! The whole ‘picky’ family loved it. I made it pretty much as recipe written, but omitted the chiles because I don’t like particularly spicy food. THANKS! This was wonderful! Made it for dinner tonight – the pickled vegetables definitely made the dish! My only question is about the lime juice – the ingredient list had it divided but I didn’t see specified where I added it. (I ended up adding it with all the rest of the sauce). 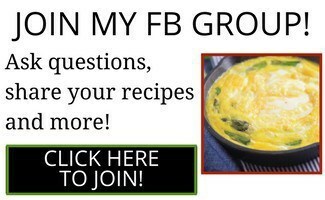 Can you please post a link to the pot that you used for the rice, as well as the silicon lid? I’d like to try this method of cooking two dishes in the IP, and my kids like rice! Thank you. Loved it. Didn’t have the peppers, so just used a dash of cayenne pepper instead. I also used the steamfresh Asian medley vegetables and mixed in a little oil and vinegar after it steamed. Delish! ! If you don’t have the dried chili’s can you substitute chili flakes? 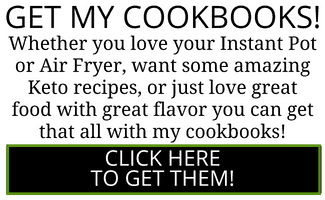 Yes just go easy with them and you can always add more later if needed. This looks amazing! I’ve never cooked with whole chilis before. Can I use some tiny fresh ones I have in my garden or should they be dried? Also, do I cook them whole, or should I chop them up? Thank you so much!! You can use fresh for sure. I would leave them intact if you don’t want it too spicy. If you like more spice, cut them up. Enjoy!